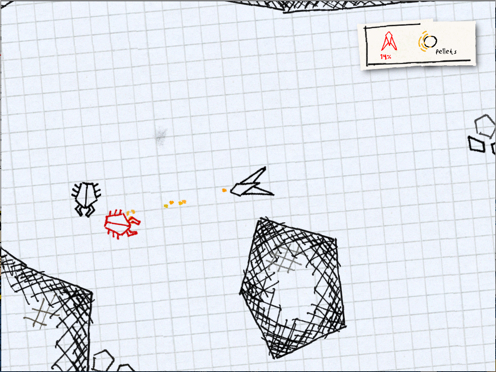 SketchFighter 4000 is what happens when you combine a conventional 2D shmup with graph paper and a ballpoint pen. (Literally: in the credits screen, designer Lars Gäfvert indicates that all his graphics are the work of a standard rollerball.) The game art, then, is all line drawings—crosshatching, curlicues, bursts of felt-tipped color—and every vanquished enemy leaves a vague smudge of graphite behind. SketchFighter won’t play like nothing you’ve ever played before, but its boundless charm certainly makes all the difference. It takes a village to get a great indie game out there. Cave Story (AKA Doukutsu Monogatari), developed by semi-nonymous designer/software programmer Daisuke “Pixel” Amaya, was released for PC in 2004; less than a month later, the Internet had rallied to translate and patch the Japanese-language game into English. Since then, Cave Story has been ported to just about every OS and console imaginable—with still more fan-driven projects in the works!—but its Mac incarnation in particular almost plays like a dream. Still, if you can’t be bothered to install (and patch) this little work of art, its enhanced WiiWare rerelease is due any day now. 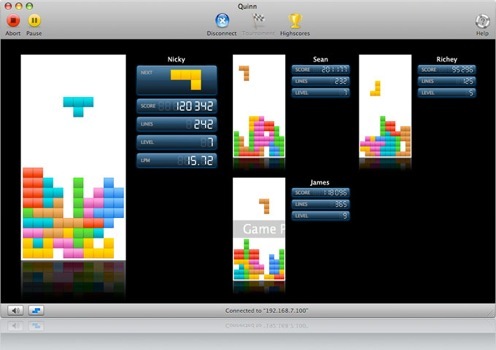 Um, OK, Quinn is just Tetris. But it’s beautiful Tetris. You need this Tetris. It runs natively in OSX, in this gorgeously unobtrusive way, making Quinn a Class A productivity-killer. If it isn’t easy enough for you, you can turn on the tetramino drop shadow. If it doesn’t handle well enough, you may remap and adjust your keyboard controls. If it isn’t pretty enough, you can make the game look however you like (downloadable user themes currently include ‘Portal,’ ‘Lego,’ Game Boy and NES themes, and some Lumines -type stuff). Best of all, you can play online, either over Bonjour or via some dedicated server in Switzerland. 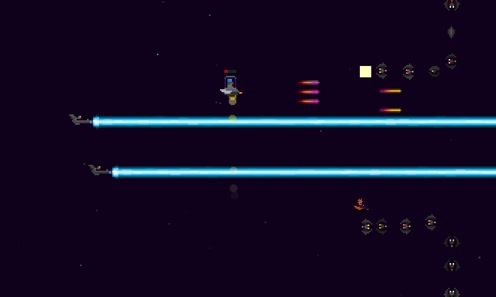 With its glitchy synesthesia soundtrack and precious, pixelicious art style, Gamma Bros is an 8-bit hipster dream. In this eerily sparse outer space shmup, waves of alien enemies chase your little Gamma Brother around the playfield as coins and power-ups trill past. And while Pixeljam’s most recent browser-based game Dino Run is maybe a little more polished, the clever and addictive Gamma Bros scores big because it can be downloaded and played offline. 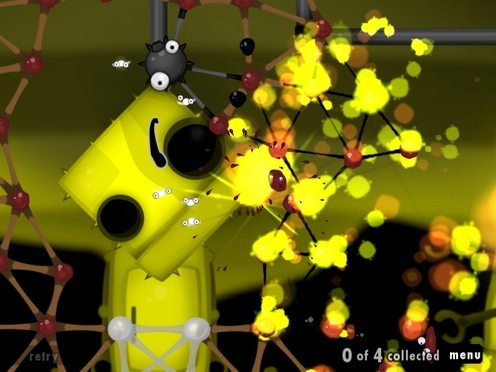 Another cross-platform indie hit direct from the 2008 IGF lineup, World of Goo’s 2D puzzle play is so ideal for the MacBook. Little else is more addictive than assembling eager globules into wobbly, semi-polygonal spires. Still, if Mac gaming isn’t for you (why are you reading this? 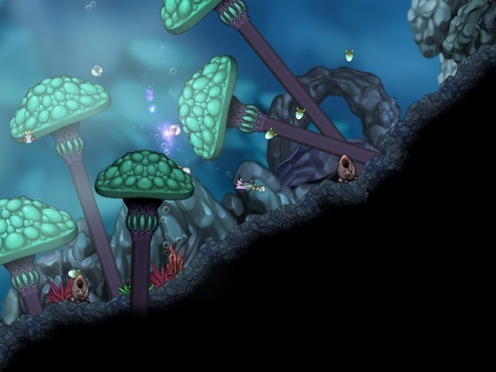 ), rest assured that World of Goo also runs perfectly on PC, Steam, and the Wii. An homage to the movie WarGames, DEFCON is pointedly anti-war. That isn’t to say that it takes all the fun out of killing, though. 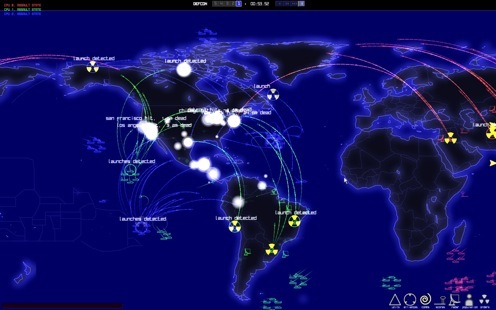 DEFCON—from the indie developers who conceived Uplink and Darwinia—is a disturbing tactical strategy best played among friends or, well, enemies. Unfortunately, and to the detriment of the game’s laptopability, it’s almost impossible to play without a two-button mouse. Still, playing DEFCON in the dark, with the letters of the MacBook Pro’s keyboard all glowy, is crazy eerie. Try it. 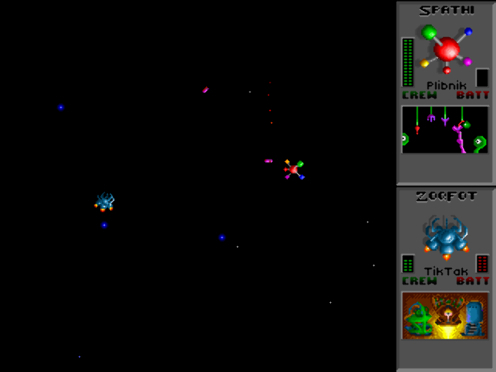 Fans remember Star Control II: The Ur-Quan Masters as one of the finest space adventure-strategy games around (it sounds like a specialized genre, but it’s actually among the broadest and oldest). Initially released in 1992, Ur-Quan Masters enjoyed a more recent renaissance when its creators loosed the original 3DO code for hobbyist developers to do with as they would. 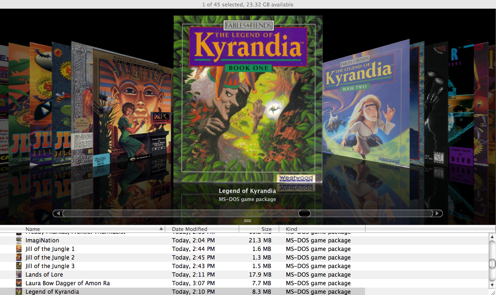 The result: a much more modern game—complete with multiplayer!—that runs brilliantly on almost every system and OS. This might be common knowledge, but it’s remarkable anyway: since 1995, every Blizzard game has simultaneously launched for both Mac and PC. And Blizzard demonstrates an apparent, ongoing commitment to endlessly patch their games’ native Mac installer, which has seemingly been updated for every revision of OSX (try playing your original copy of Diablo II in Windows, kid). 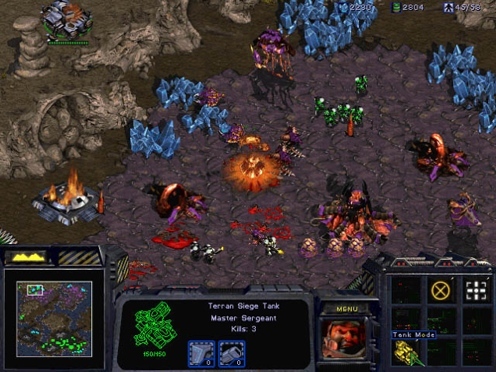 At Blizzard’s online storefront, the classics StarCraft and StarCraft: Brood War are available together only as a digital download—for both Mac and PC, of course—and they install, run, and look great on Leopard. Pretty rad for a ten-year old game. Oh, you caught me: the last game in the MacBook Top Ten isn’t really a game at all. Still. Last week, when a friend told me about Boxer—a GUI front-end based on DOSBox for Mac—I was alarmed, pained, and offended. I marveled at the thought that anyone would ever want to sidestep DOS commands like “dir /p” and “cd” as he navigates blindly to the necessary file directory and, from memory, types in filenames like “OMF” and “SQ4.” That’s what makes DOS so fulfilling, right? Conveniently, I’d forgotten that DOSBox for Mac is a complete nightmare to set up. But with Boxer, configuration tweaks are a snap, and legacy DOS games seem less susceptible to glitchiness. Plus, front-row-flipping through my DOS game index makes feel like a genuine archivist. Therefore, I begrudgingly admit that Boxer is the coolest ever. I never really disclosed my (indefinite! esoteric!) criteria for the MacBook Top Ten. Really, though: How do you define a “Mac vibe”? For me, strong solo play was a must. Each game on the list was an easy wifi download (except Starcraft, which was torture). I paid the most attention to applications that felt handcrafted but polished—precisely because those are the qualities I look for in other Mac productivity apps and utilities. I preferred games that looked especially crisp on the monitor without overheating my gentle machine; retro-minded games seem especially well suited. Below, I’ve catalogued notable titles that didn’t make the cut. Will Wright’s “SimEverything” wilted beneath its own ponderous hype, maybe, but at least its years-in-the-making included a simultaneous release on both PC and Mac. Combining the addictive play of Breakout with the letting-chips-fall-where-they-may of Pachinko, the much-lauded Peggle is a pastel wonderland of skill and chance. But how long must we casual gamers wait for its hit sequel to come to the Mac? Multiplayer text adventures are alive and well, thank you. And Atlantis is the greatest MU* client ever. It didn’t make the Top Ten, though: there were no graphics to evaluate. With more Sims titles than you can shake a stick at, the likable underdogs at Aspyr are frequently saddled with preparing blockbuster games for the Mac market. Their pitch-perfect port of Guitar Hero was awarded a Best in Show at MacWorld 2008, which makes the teensy glitchies in Call of Duty 4 all the more baffling. Diablo II was cut from this top ten list at the last instant—admittedly, to make room for Quinn. Sorry. Wingnut 2. This shmup does not work on my laptop, and I did not wait around to investigate. As Wingnut 2 crashed, the green light of my laptop’s built-in iSight abruptly flickered on, indicating that the camera was suddenly active. It was creepy. “Are you guys photographing my disappointment?” I shouted at my computer. Second Life. Just because you finally got Second Life working on your MacBook Pro doesn’t mean anyone else did. The next time someone reboots in the middle of a pleasant conversation, ask him whether he’s on an Apple laptop. The answer is always yes. I recently discovered that Return to Dark Castle had finally been released after years of development (seriously, it was the Duke Nuken 3D of Mac Games). And what could be more Mac than the franchise that defined gaming on the early black and white boxes? I’ve been thinking about getting a Mac lately, so this list is a must. SketchFighter 4000 is probably the one that caught my eye the most. If only someone could patch in music to that Tetris game. For twenty-some years, I’ve been unable to play a Tetris game, unless it maintained the original Gameboy music (still trying to hunt down a cartridge for cheaps). I went so far as to poke around the innards of the iPhone version, to replace the irritating techno with the original songs. To me, the so-called ‘mac vibe’ is defined as ‘usability’. The product has to be easy to setup. It has to ‘just work’, with few steps between ‘download’ and ‘enjoy’. Clean aesthetics and slick presentation never hurts, either. I’ve found that this usually does not apply to ports, but rather, original software by smaller companies. Honestly, I think there should be a piece on useful Mac utilities, tools and software. For example, Crossover Games is a really handy application for Mac gamers. Though, not every game works currently, it’s a great step in the right direction. I purchased it solely so I could play TF2 without rebooting. And it plays rather flawlessly on my MBP; very few DX8 rendering glitches and that’s about it. And I’m not sure how keen you are on the subject of emulation, but I must say, using the Wiimote + Classic Controller, in combination with emulators on my Mac, has been a solid investment for me. Instead of having to hook up my (defective) NES, I can just load up my Mega Man games and play them with the Wiimote. Simply delightful. Let me know if you’re care to know more about this dark and horrible world! I really like the list; I think a number of games on here would not be the first to spring to mind for a list of good downloadable computer games, and that’s a shame. Gamma Bros, Sketchfighter, and Aquaria all look amazing. I am pretty amused by the inclusion of Boxer though, if only because having navigated the nightmare of DOS-based text commands back in the day has given me a healthy loathing of the system. But there are so many awesome DOS games! Really an inspired pick for the list. I’ve been exonerated! Boxer 4eva!